As a 30-year financial services veteran, Rich specializes in comprehensive financial planning as well as portfolio construction and management for families and small businesses. He works diligently to manage clients’ tax burdens and often taps into his thorough understanding of income taxes. Prior to joining Raymond James in June 2018, Rich served as a financial advisor with Edward Jones Investments for 20 years. While at the firm, he specialized in financial, retirement, estate and distribution planning for families and small businesses, as well as portfolio and risk management. Before that, Rich served as vice president of Bank of Marshall County, as assistant comptroller and commercial credit analyst for Citizens Bank and Trust Company, and as a staff CPA with Williams Williams & Lentz. Rich earned his bachelor’s degree in business with a focus in accounting from Murray State University before going on to graduate from Kentucky Undergraduate School of Banking. He also earned a degree from Colorado Graduate School of Banking. 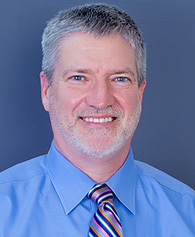 Rich has been a licensed Certified Public Accountant, CPA, since 1992. Active in his community, Rich is a member of the American Institute of CPAs, the Kentucky Society of CPAs, and an advisory board member with Murray State University’s department of accounting. He is involved with Lions Club, a lifelong member of First Baptist Church in Benton and a two-time board member of Kentucky Lake Chamber of Commerce. Rich is also on the board of Marcella’s Kitchen. Originally from and currently living in Benton, Rich and his wife, Laurie, have four children: Chloe, Cayce, Owen and Haylee. When he’s not in the office, Rich can often be found playing and watching golf, fishing and hiking in Land Between the Lakes, and hiking out West – primarily in Montana, where he loves to fly fish and visit Glacier National Park and Yellowstone. *The tax advice and/or services of Richard Hendrickson are independent of RJFS. This is not a service offered through Raymond James.